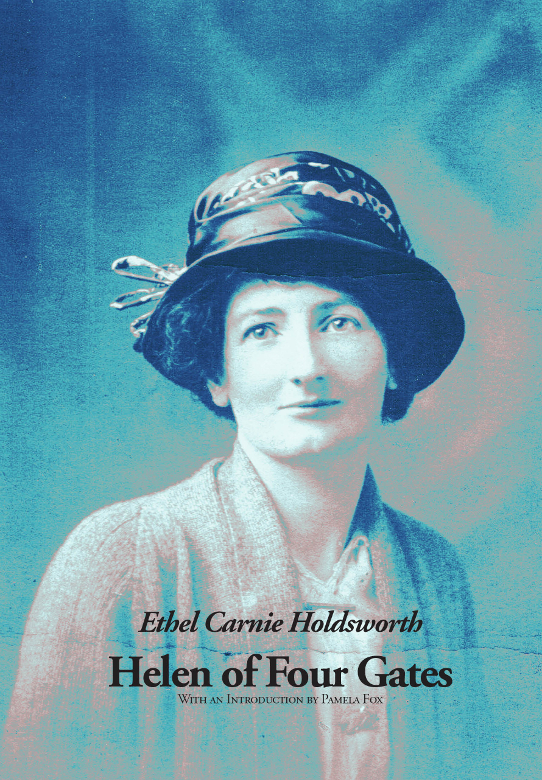 This is a new edition of Ethel Carnie Holdsworth’s Helen of Four Gates (1917) – her bestselling second novel, originally published under the pseudonym ‘The Ex-Mill Girl’. As Pamela Fox makes clear in her introduction, the novel marks an important intervention in women’s writing, drawing on the feminist and gothic mood of both Wuthering Heights and Jane Eyre in its portrayal of Helen, a lone female living in a remote and brutally patriarchal farmhouse nestled in the Lancashire hills. The treatment of class politics is more subtle than some of Carnie Holdsworth’s later works but is still present in the portrayal of working women’s lives, the importance of community and ‘comradely’ marriages, the discussions of migrant labour and tramping, as well as in its critical engagement with melodrama as a popular working-class form. The book was radical in its treatment of female sexuality and in its depiction of domestic abuse, and was made into a film by Cecil Hepworth in 1921. Like much of Carnie Holdsworth’s oeuvre and despite the tens of thousands of copies that were sold, Helen of Four Gates had become rare and difficult to get hold of. The text for this new edition has been carefully copy-edited by one of our English Literature students, Cariad Williams (graduated 2015). This entry was posted in Department of English Literature news and events and tagged Cariad Williams, Department of English, Department of English Literature, English Department, English Literature, Ethel Carnie Holdsworth, Helen of Four Gates, Nicola Wilson, Pamela Fox, Reading, University of Reading. Bookmark the permalink.